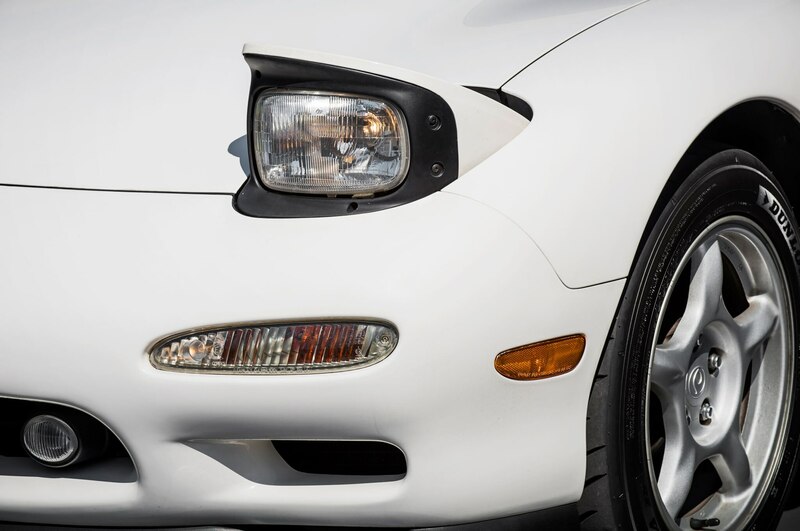 When the world’s best sports cars came from Japan. Newer is almost always better. 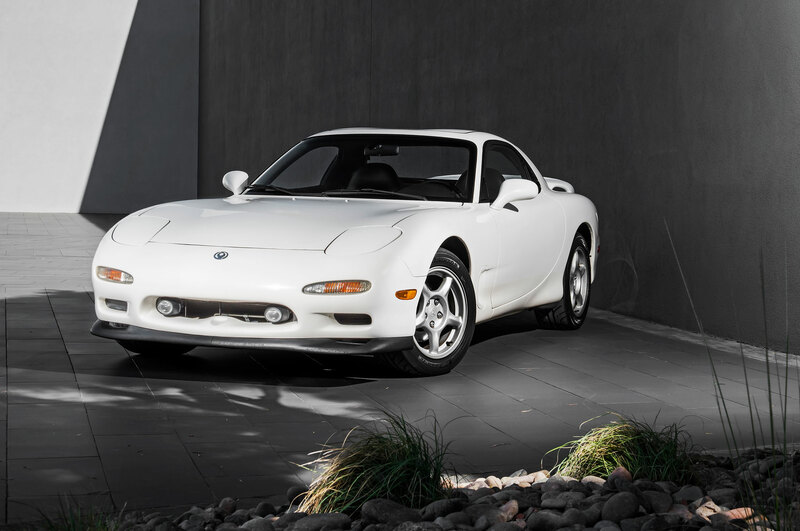 Or so I believed until I spent a long weekend in a 1995 Mazda RX-7. 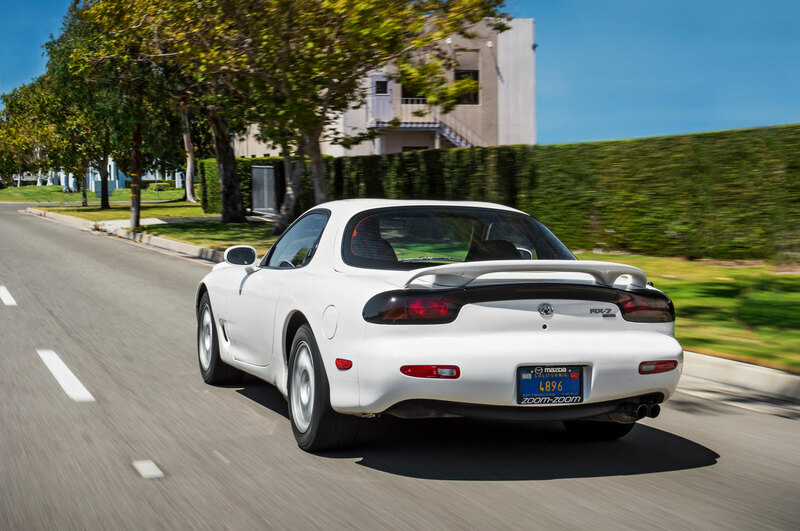 Every time I buried the throttle or leaned on the suspension, a question buzzed in my head as insistently as the car’s free-revving rotary engine: “Where can I buy one?” Slap a Monroney sticker on the third-generation Mazda RX-7, and it would fly out of a new-car showroom. 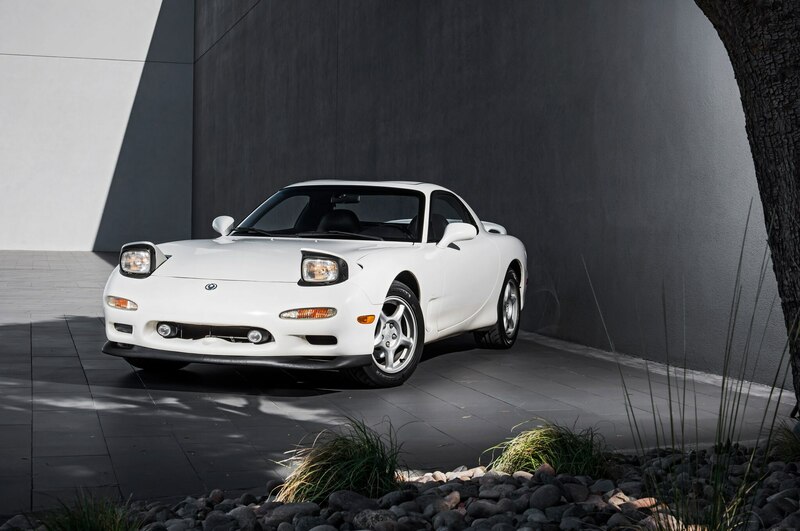 Although a lot of people these days think Mazda’s sports-car heritage began with the MX-5 Miata in 1989, the company had been a serious player in the two-seater market since the RX-7 debuted in 1978. 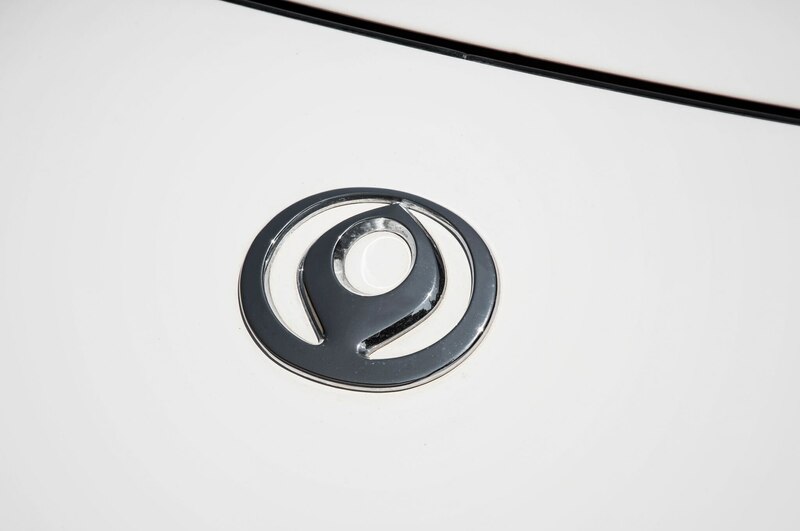 Mazda’s first mass-market sports car was an affordable, smart, and stylish coupe showcasing the Wankel rotary engine that was Mazda’s signature piece of technology. 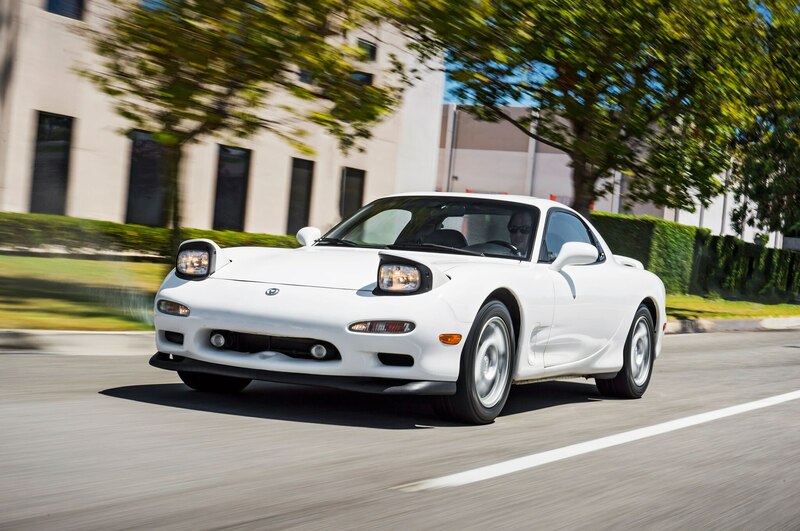 In 1985 the original RX-7 was replaced by a second-generation model positioned as a poor man’s Porsche 944. 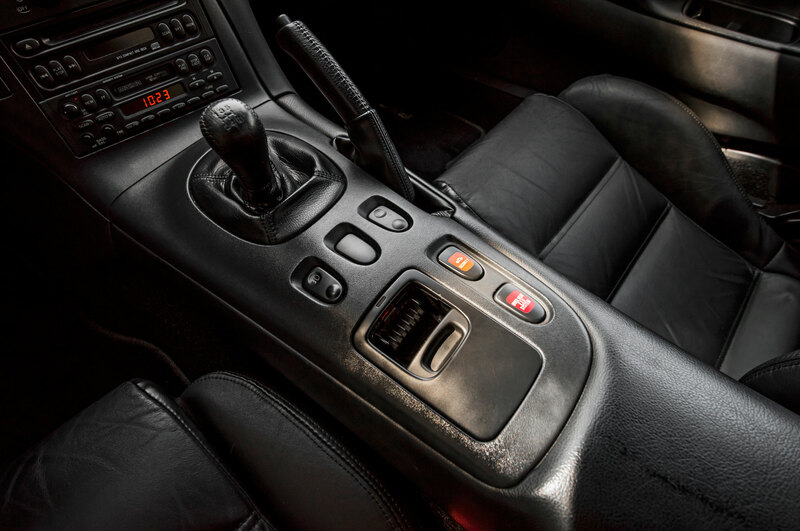 By the 1990s a booming home economy helped Japanese carmakers take the center of the world stage with a combination of innovative technology and cost-effective manufacturing that no other country could match. 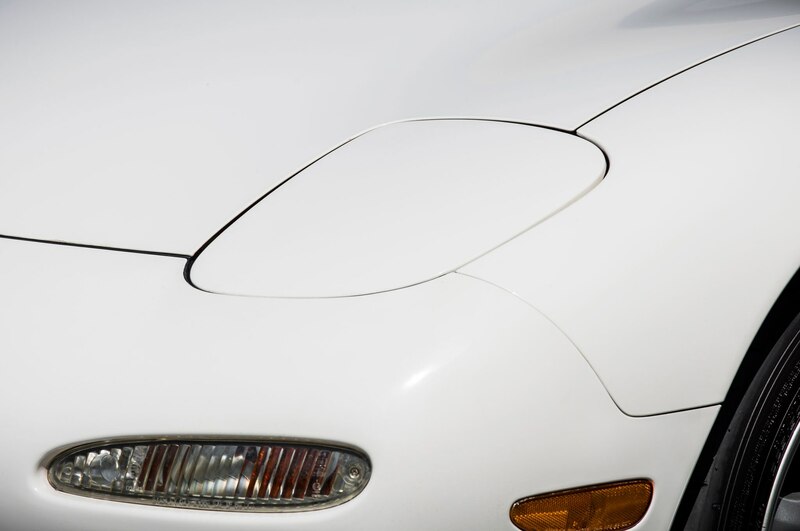 What followed was the golden age of Japanese sports cars, an era that gave us the Acura NSX, Mitsubishi 3000GT, Nissan 300ZX, and Toyota Supra. 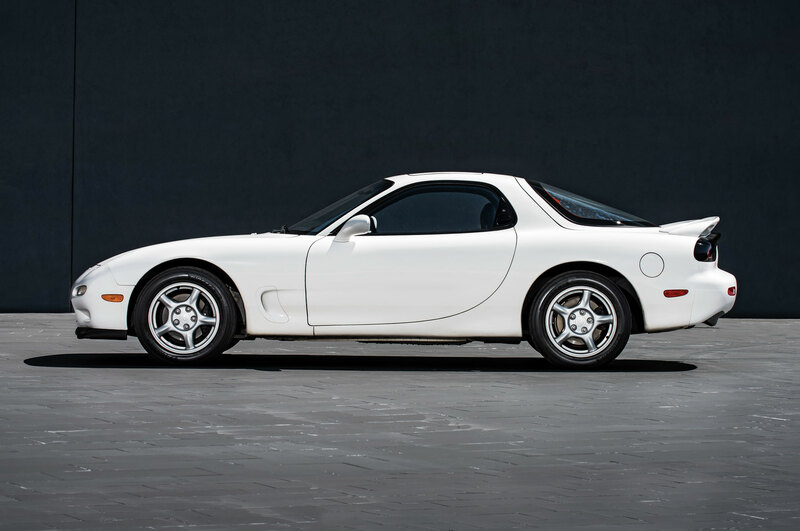 In 1991 Mazda scored an upset win in the 24 Hours of Le Mans then followed up the next year with the equally surprising third-generation RX-7. 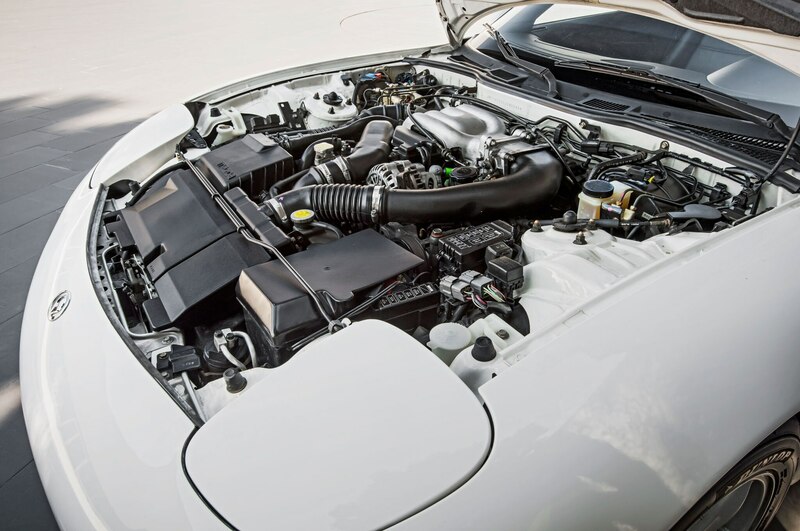 The heart of the car was the twin-rotor 13B-REW engine featuring a pair of sequential turbochargers—a small one to boost power at low rpm and a bigger unit that spooled up when its little brother ran out of breath. 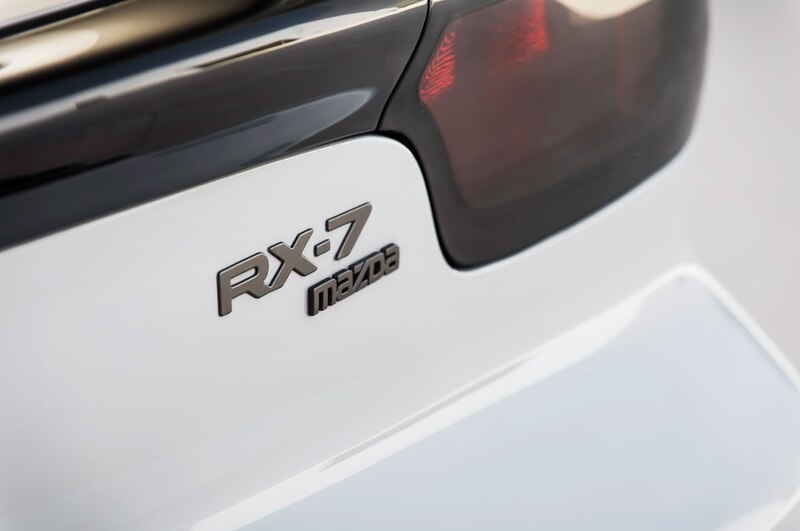 Rated at a mere 1.3 liters, the rotary unit made 255 horsepower. 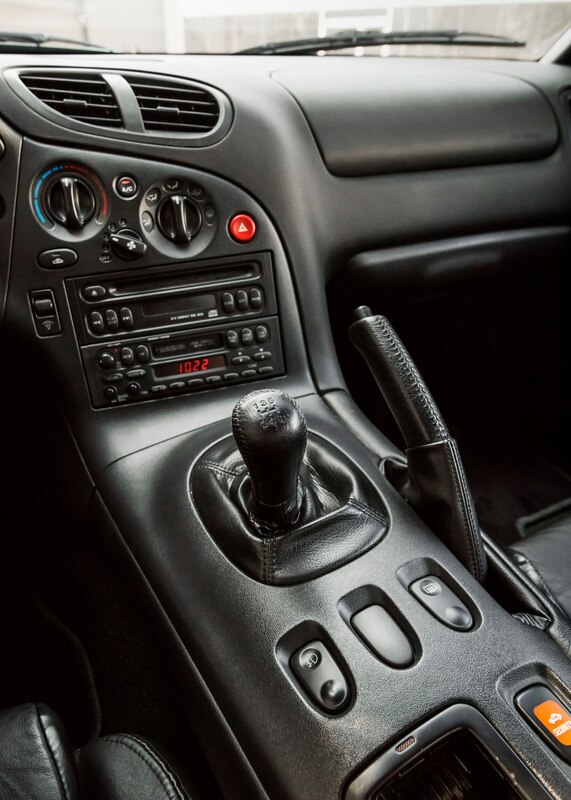 Mated to a five-speed gearbox and a Torsen limited-slip differential, the combination translated into 0-60 mph times around 5 seconds and a quarter mile in about 14 seconds. 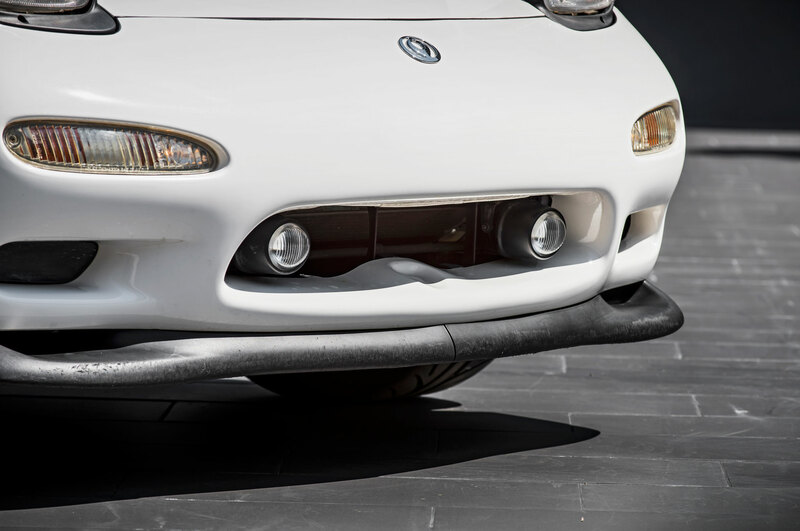 The super-stiff, ultra-light chassis—known internally as the FD3S, which is why the faithful refer to the third-generation car as the FD—was as impressive as the drivetrain. 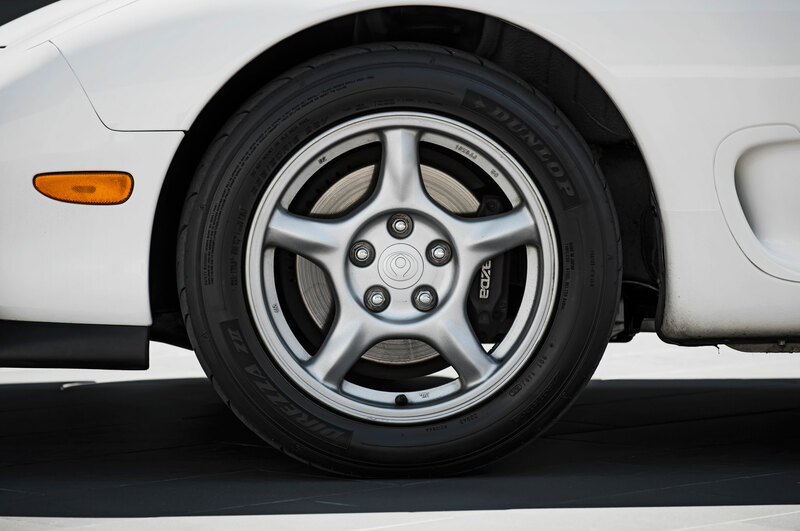 The double wishbone suspension incorporated lightweight cast-aluminum components. 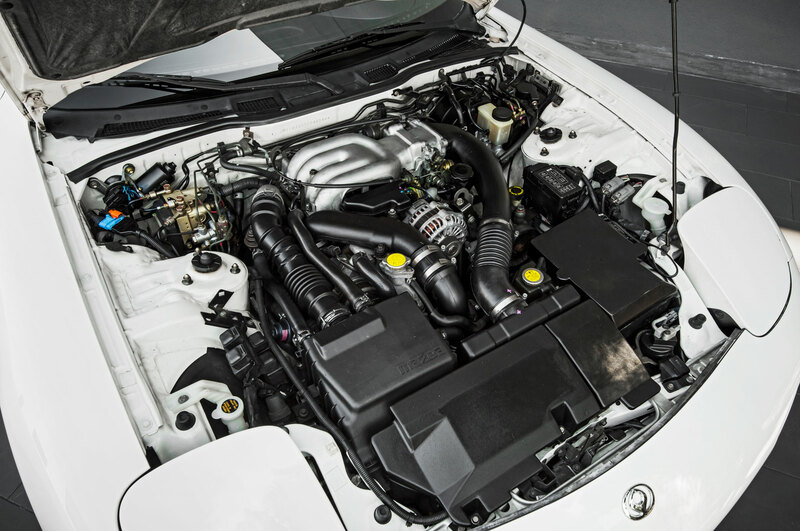 The engine was located behind the front axle, helping achieve an evenly balanced 50-50 weight distribution. 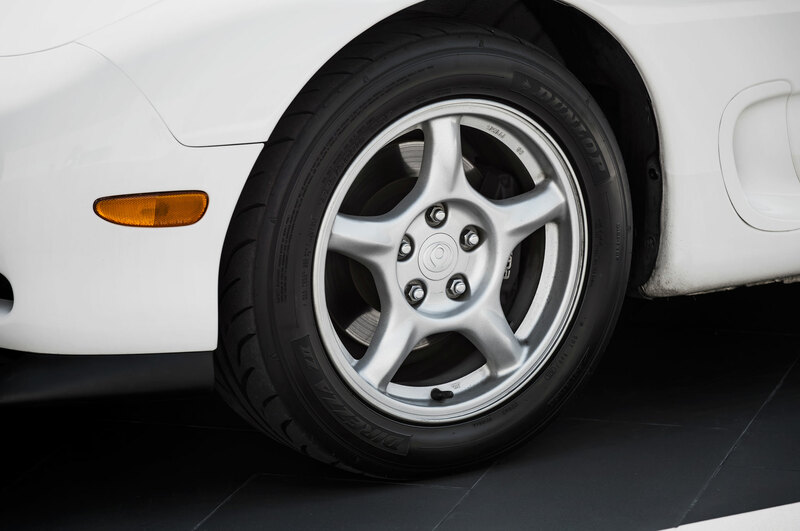 Curb weight was a trim 2,789 pounds, which compares today to the nearly 3,300 pounds of the 2014 Nissan 370Z. 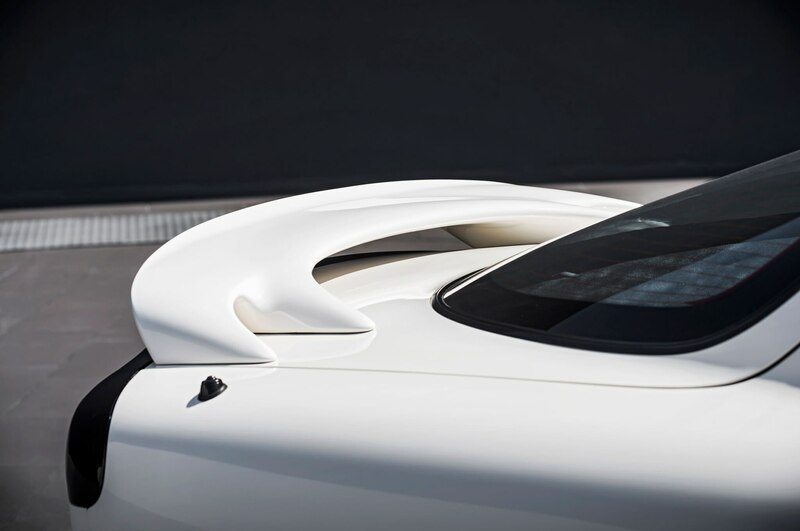 The chassis was cloaked in flowing bodywork that managed to look sensuous and sinewy at the same time. 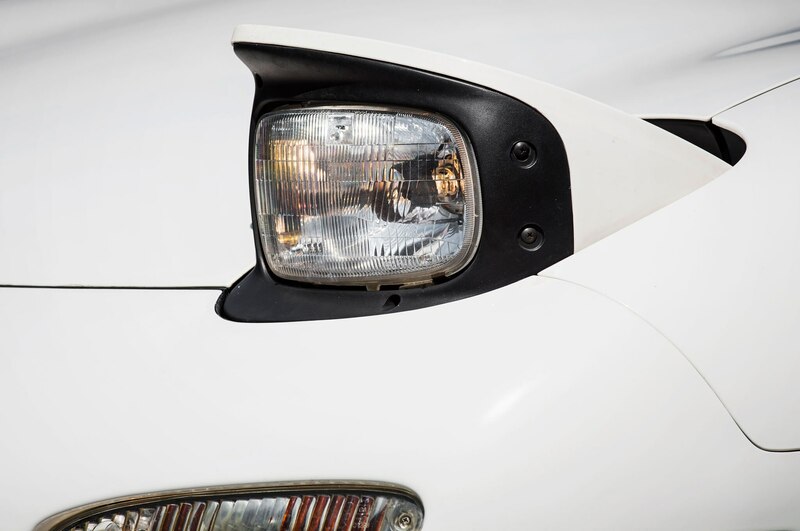 Based on a concept developed in Southern California, the sheetmetal benefited from a purity of form that was rare for the era, especially from a Japanese carmaker. 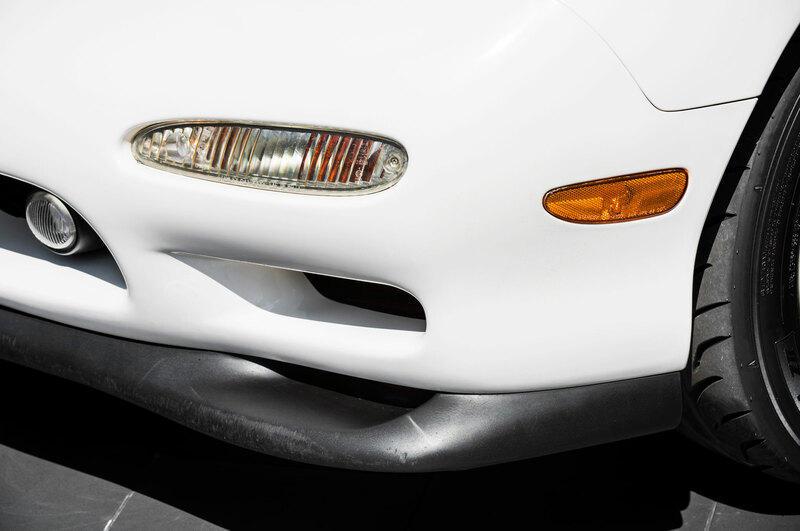 The result was a piece of museum-quality rolling sculpture. 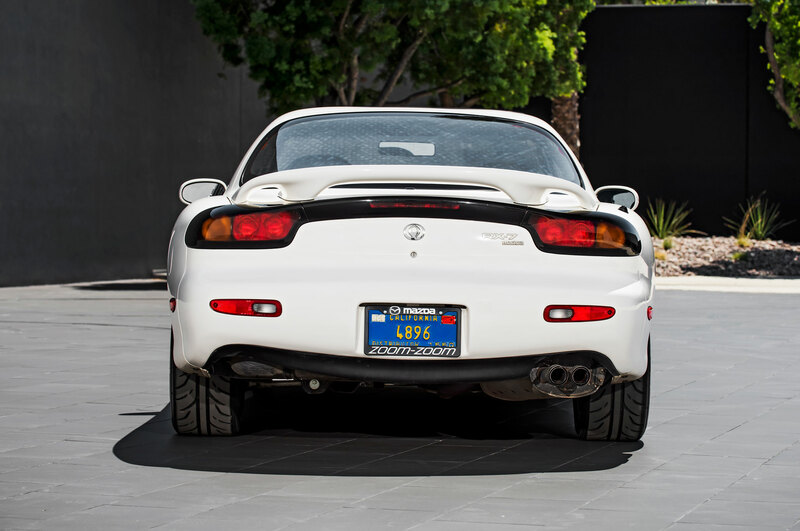 The FD arrived in the United States in 1992 as a 1993 model to hosannas from enthusiasts. Buyers, alas, were less enthralled. 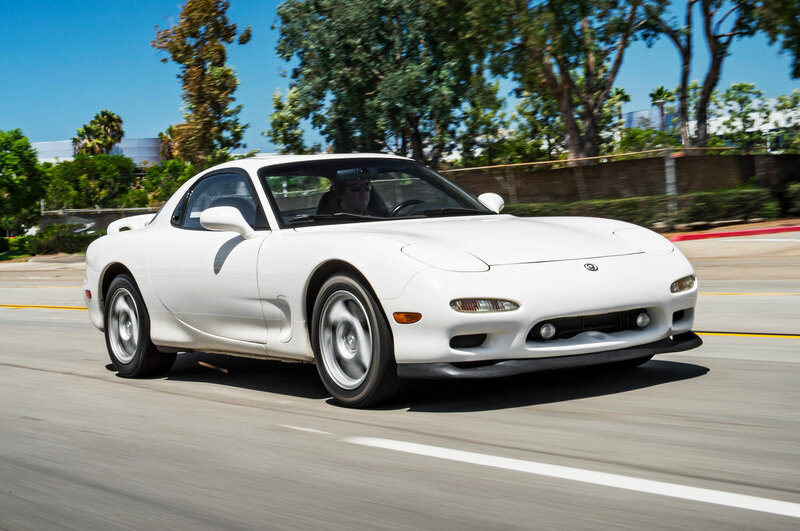 The new Mazda RX-7 was pricey, burned premium fuel at a prodigious pace (not to mention oil, as with all rotary engines), and faced plenty of stiff competition. 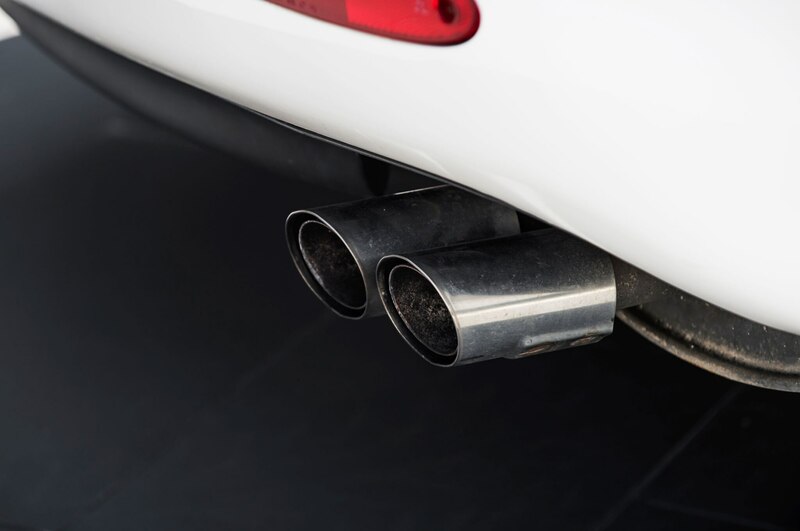 But the biggest problem was the highly stressed engine, which had a distressing tendency to melt down at the slightest provocation. Sales quickly went from modest to minuscule, and the collapse of the Japanese bubble economy in 1992 didn’t help. 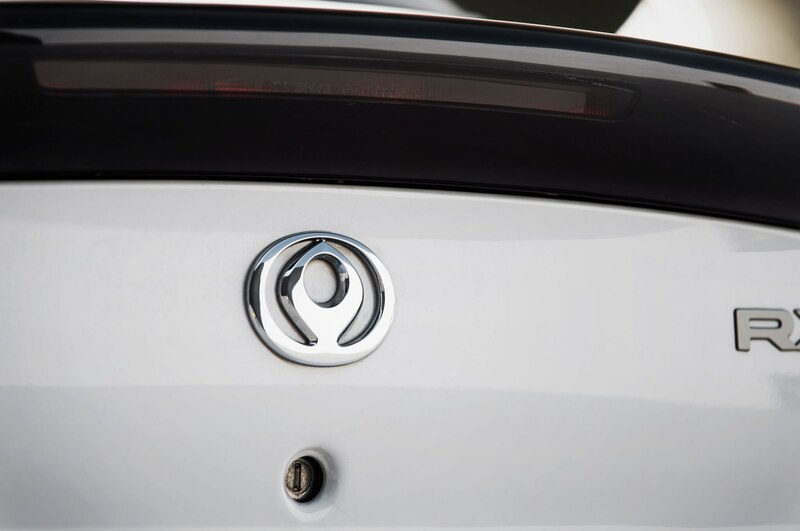 American imports ceased after the 1995 model year, though cars were built in Hiroshima until 2002. But where the car really shines is in motion. 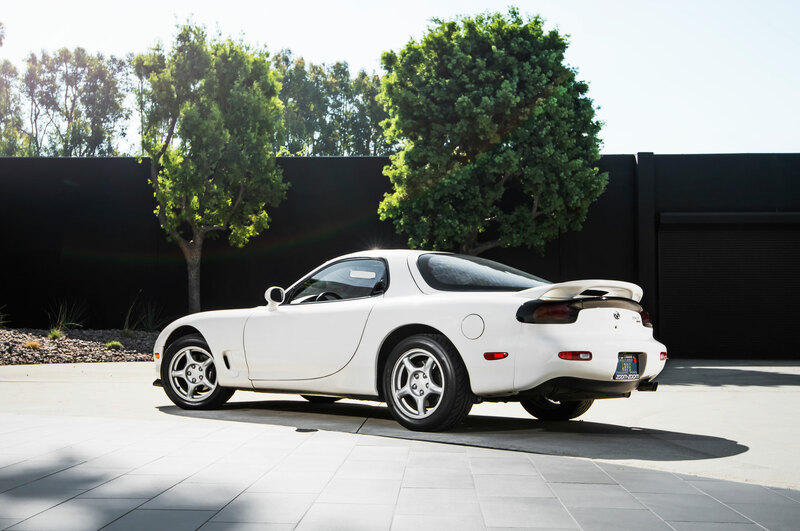 This Mazda RX-7 is lively in traffic, and when the second turbo kicks in around 4,000 rpm, you feel like you’ve just lit an afterburner that will carry you all the way to the redline at 8,000 rpm. 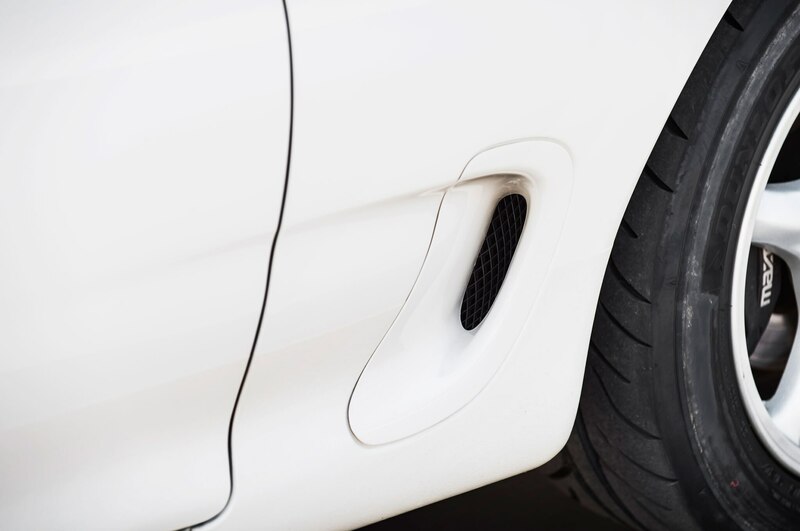 During hard cornering, the car takes a confidence-inspiring set on its outside rear wheel. 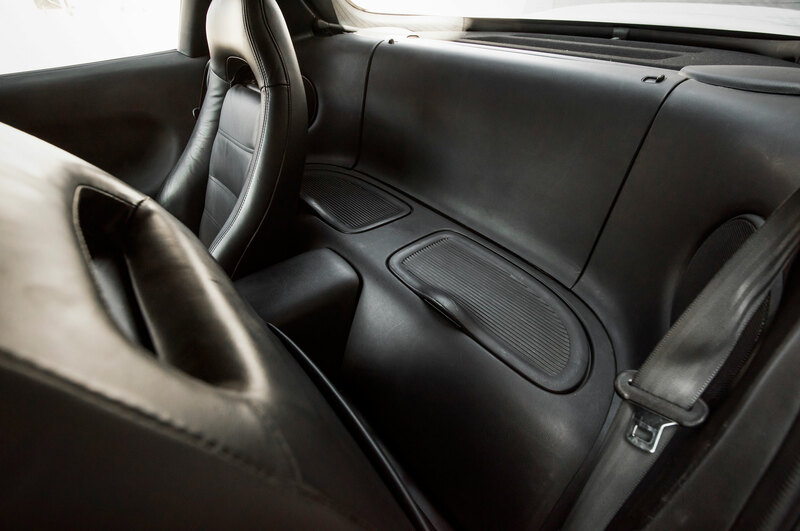 Of course, overconfidence can be an issue when dealing with a sharp turn-in and aggressive power delivery in a rocket ship with a short 95.5-inch wheelbase, especially since the FD sports no driver-assist controls other than antilock brakes. 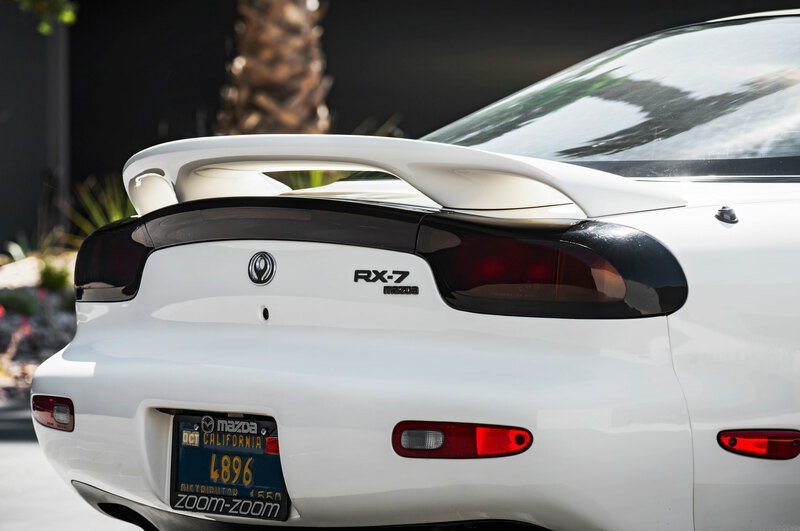 Not that this RX-7 is a beast or a widow-maker. 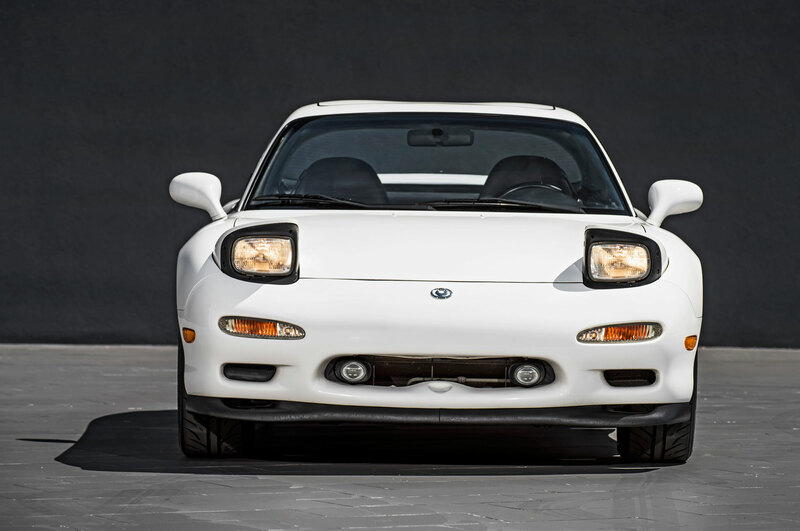 But it isn’t as tossable as a Miata. 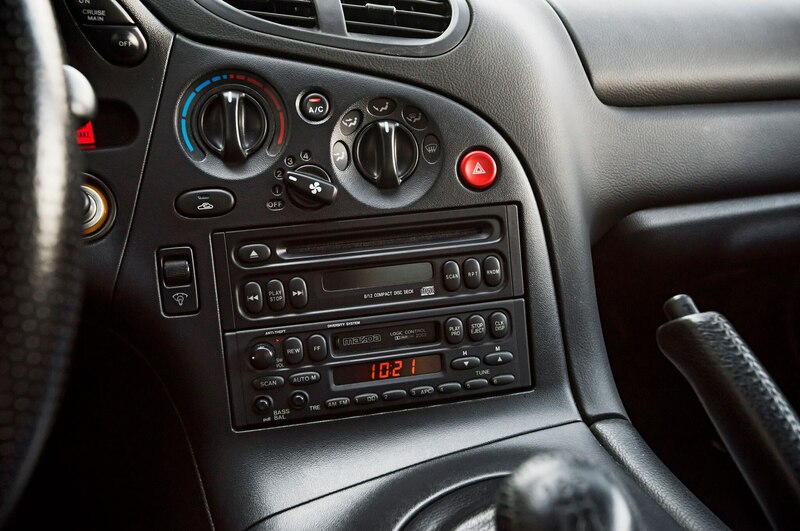 Nor does it offer the direct mechanical connection of sports cars from the 1960s and ’70s. 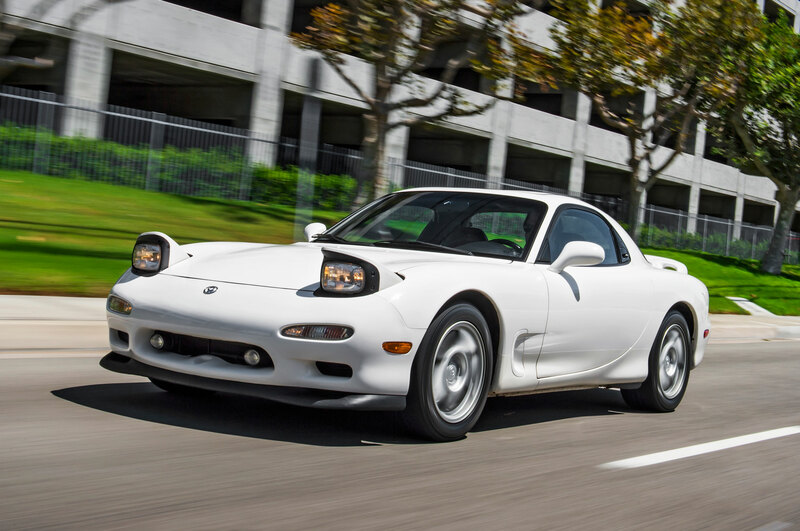 The third-gen Mazda RX-7 is the apogee of 1990s engineering, but modern cars are safer and faster and “better” by all objective standards. 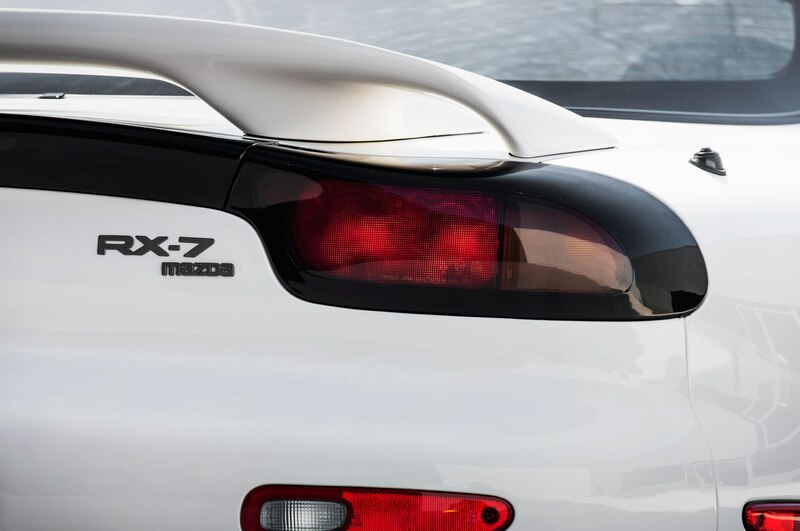 Yet after two decades of supposed improvements to the sports-car breed, the 1993-’95 Mazda RX-7 delivers a driving experience that’s more visceral and rewarding than anything on the road today. 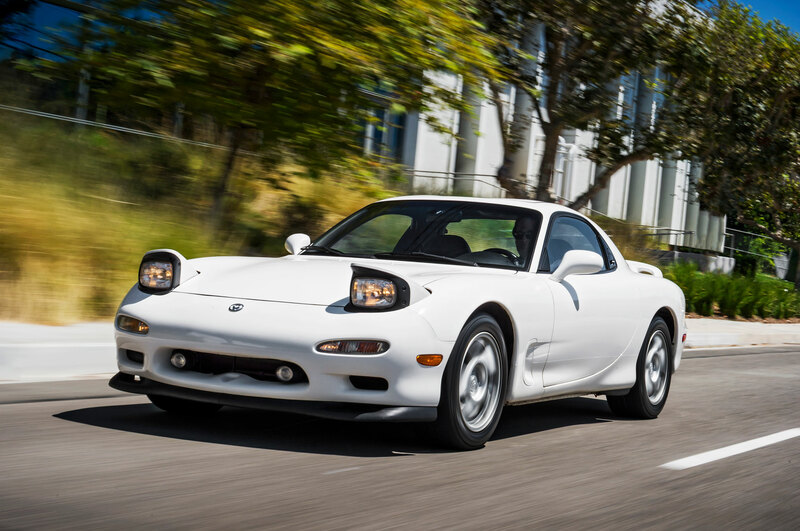 Fewer than 14,000 examples of the third-generation Mazda RX-7 were sold in the U.S. during the model’s three-year run. 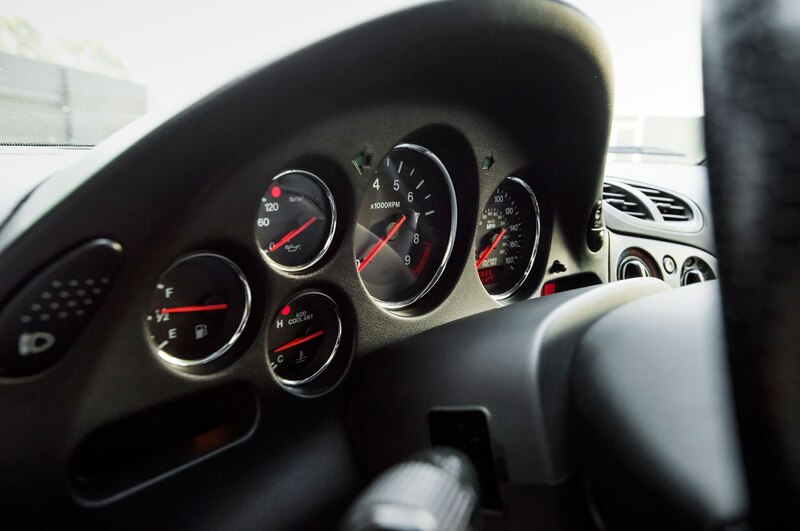 Since it was an early hero car of “The Fast and the Furious” franchise and because it remains popular with tuners, stock FDs are hard to find. Then again, considering the original engine’s propensity to blow up, modifications aren’t necessarily a bad thing. 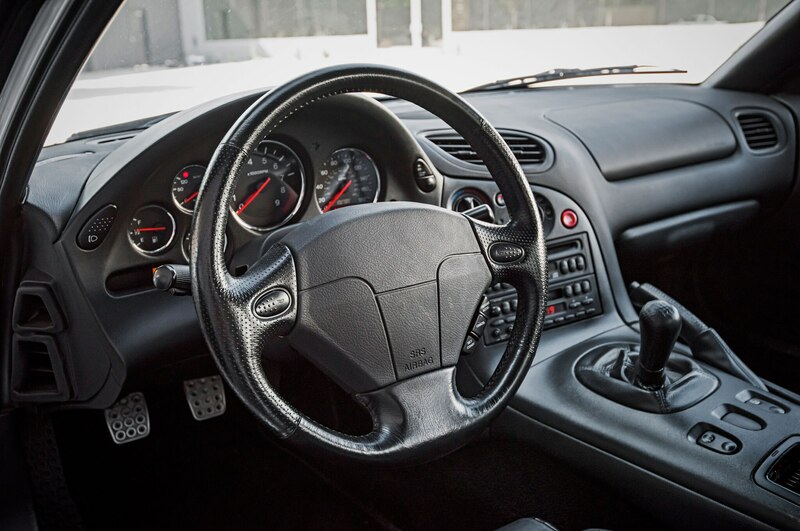 Project cars­—of which there are many—start for as little as $7,500. 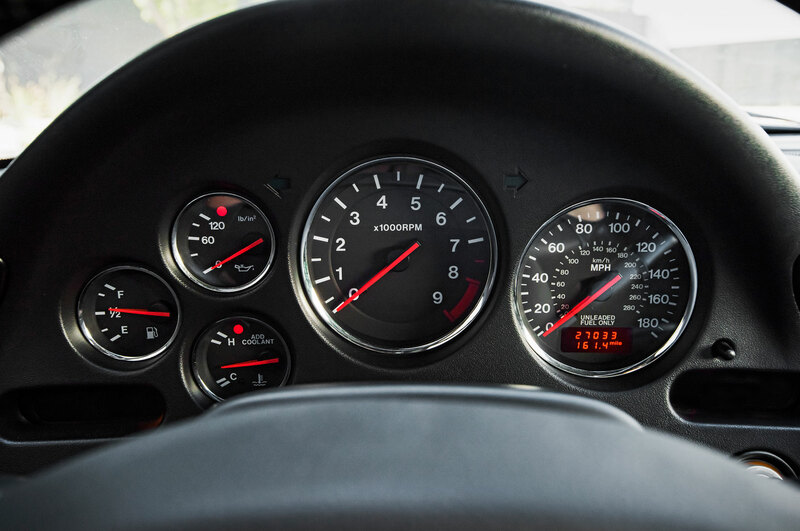 But expect to pay $15K for a reasonably reliable driver and north of $25,000 for something special. 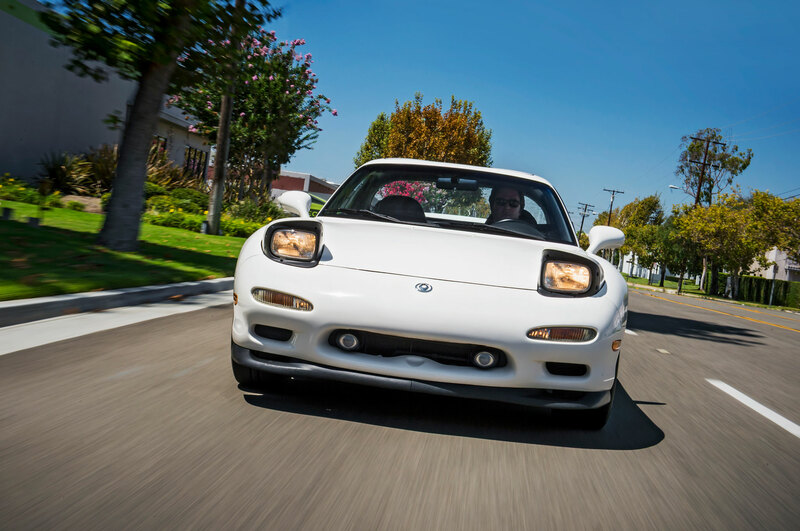 “An FD is not a car for a casual owner,” says Evan Burkitt, who owns an unmolested 1994 model (and had a ’93 before that). 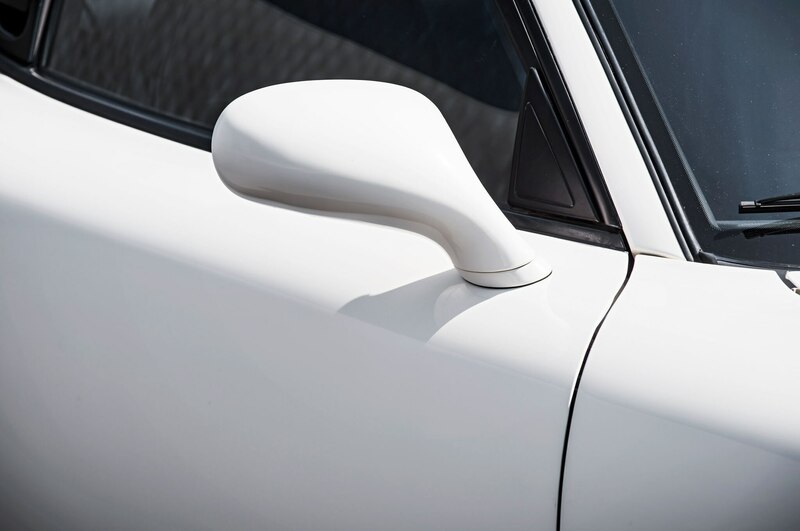 “But it’s a timeless design that still handles fabulously. 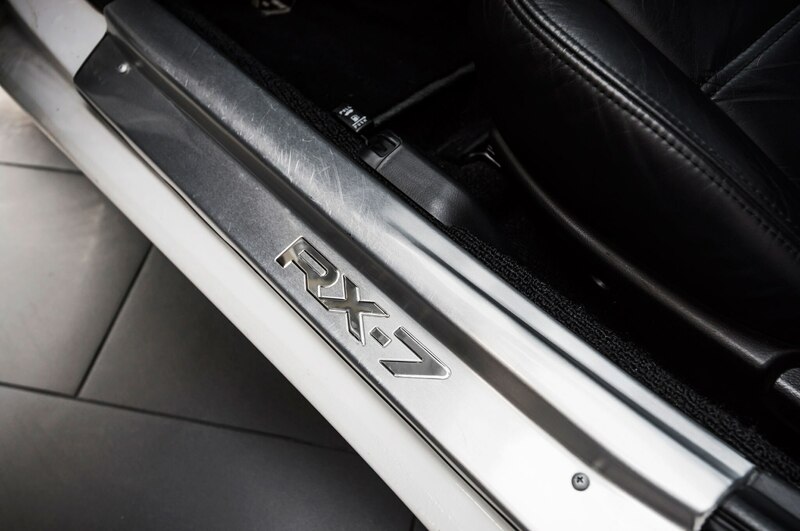 And the rotary engine puts you in an exclusive club.” The bean counters say the RX-7 doesn’t have much investment potential. Maybe so. But how much fun can you have driving a mutual fund?